In a perfect world showers would be self-cleaning but alas soap scum is an unfortunate reality. However, thanks to Melissa Maker, whose YouTube channel, Clean My Space has one million subscribers, we just learned a game-changing hack. In her video ‘Five habits for a cleaner bathroom,’ Maker says she uses a $2 Ikea squeegee to give her shower a daily clean which prevents residue buildup. “Your body lets off dead skin cells and oils, you use soap that has soapy film and you’ve got hard water and then this mélange of liquid gets all over the tiles and the glass of your shower,” she says. However, if you run your squeegee across your shower tiles and glass than you can tackle the problem right then and there. The steam from the hot water also makes it easier to remove any existing marks. “This little tool and the habit of using the squeegee on your shower after each shower means you basically don’t ever have to scrub your shower again,” says Maker. 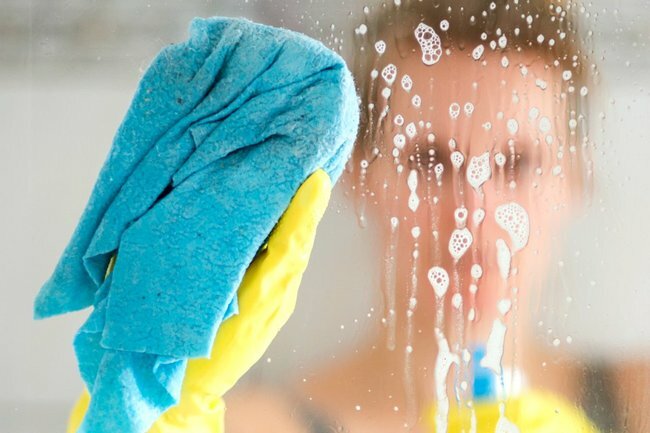 To get the maximum mileage out of your squeegee you can even give your bathroom mirror a once over while it’s still covered in condensation, because any hack to minimise cleaning time is a win in our books.